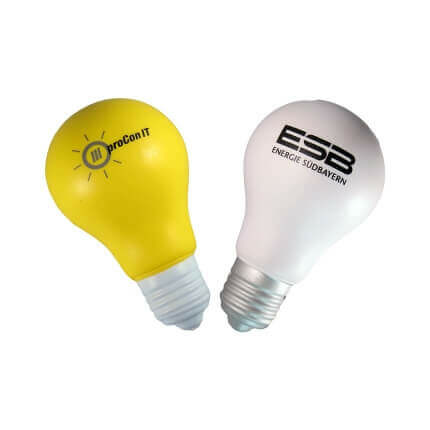 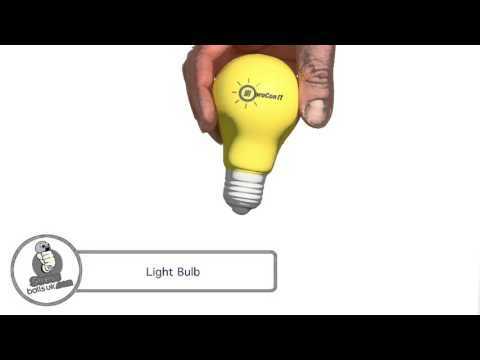 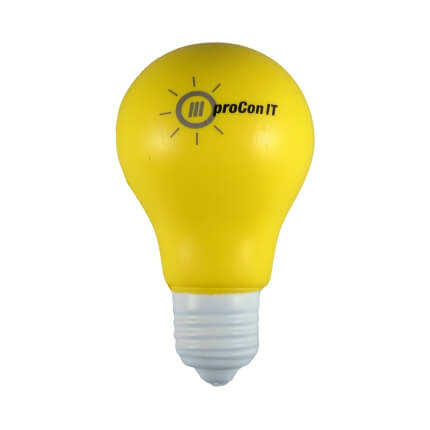 Light up your next promotional campaign with the stress light bulb! 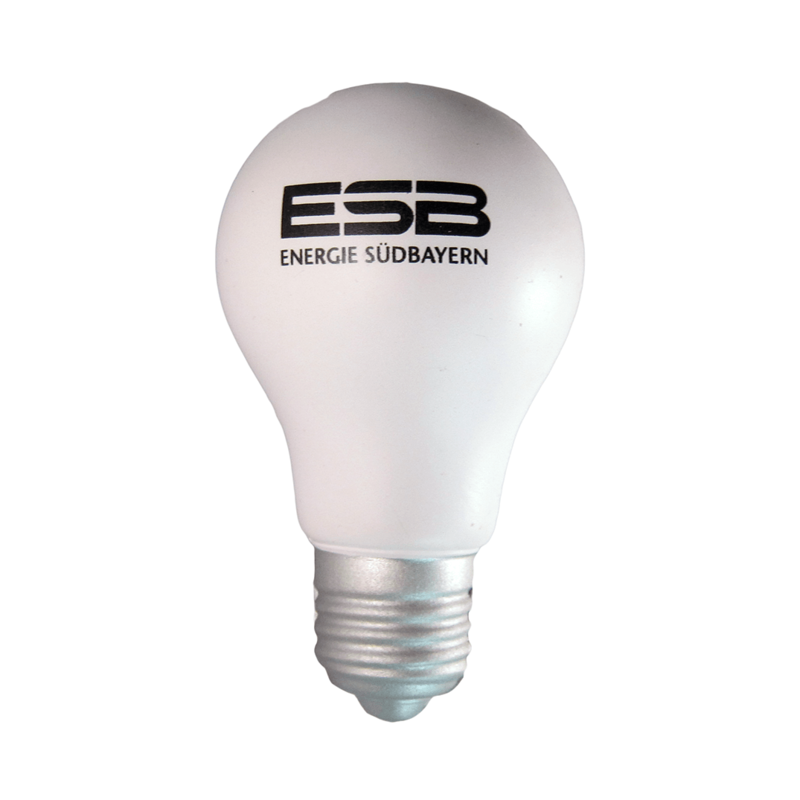 This shape is available in either white or yellow, with print areas on both sides for your company branding. An excellent choice for energy and electrical companies.